Architect Louis Kahn’s remark elegantly sums up son Nathaniel’s documentary, My Architect. The elder Kahn emigrated from Lithuania to the States in 1906 at about the age of 5 (his birth year was never conclusively established); his family moved 17 times in the next two years. This early nomadism was perhaps the most formative of Louis Kahn’s influences, shaping not only his peripatetic career but his demanding personal life, which included three children by three different women, all of whom lived within a few miles of each other in and around Philadelphia. Louis Kahn hived off these emotional circles so completely that only after his death did they overlap. 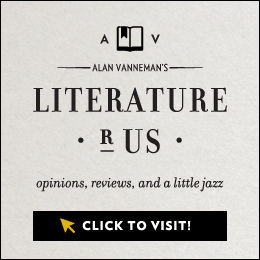 Nathaniel Kahn’s odyssey is both filial and historical, balancing relevations about the private Louis Kahn with astute interpretations of his marvelous legacy of unparalleled buildings (the Salk Institute, Kimbell Art Museum, and the Capital Complex of Bangladesh among them). Like his father, Nathaniel Kahn refuses to play it safe; the result is a documentary equally authoritative and affectionate. Louis Kahn had a heart attack in the men’s room of New York’s Pennsylvania Station while en route to Philadelphia in 1974. Possessed only of his passport, from which he scratched out his home address, Kahn remained unidentified for several days in the city morgue. Obituaries cited his architectural work, with survivors limited to his wife, Esther, and their daughter, Sue Ann. 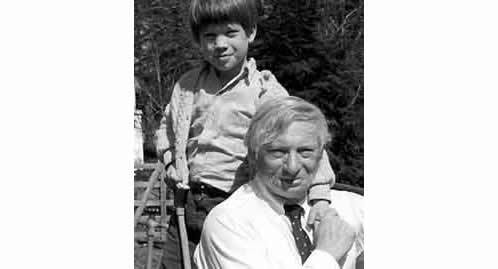 Nathaniel Kahn was eleven at the time, his contact with his father sporadic and intense, visits so random and mysterious that he admits to many years of not believing in Louis Kahn’s death, half-expecting that his father still existed in a “parallel” life. Nathaniel Kahn’s somewhat ambiguous role in his father’s life seems to allow him to avoid conclusions and, most admirably, to resist the modern American mania for “closure.” At the same time that he celebrates his father’s artistry, his adamantine respect for materials, Nathaniel Kahn is also necessarily blunt when it comes to his father’s often cavalier attitude towards the people in his life. Interviews with Louis Kahn’s A-list contemporaries (Philip Johnson, I. M. Pei) and those who came a bit later (Robert A.M. Stern, Frank Gehry, and Richard Saul Wurman) show the architect as ambitious, charismatic, obsessively driven, yet insensible to the business of architecture (which is, of course, mostly about human relations, the area with which Louis Kahn had the most trouble). 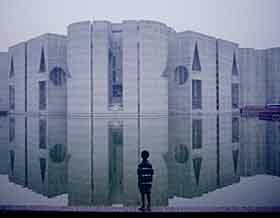 The non-American colleagues (Moshe Safdie, B. V. Doshi, Shamsul Wares) describe Louis Kahn in less pragmatic and more visionary terms, deeply respectful of his architectural and philosophical gifts, lenient about his failings as a parent. Conversations with his father’s paramours, Anne Tyng and Nathaniel’s mother Harriet Pattison, pivot on strikingly similar descriptions of collaborating with Louis Kahn as a heady, addictive experience, worth various disappointments and indignities (despite her significant contribution to the Kimbell Art Museum, Pattison was barred from the opening festivities, her office often locked when Esther dropped by Louis’s architectural firm). In one of the most unsettling and too short sequences, Nathaniel Kahn also speaks with his half-siblings. They meet at the Fisher House, a residence designed by Kahn. Eldest Sue Ann, Esther’s daughter, rather startlingly declares that they’re a family “by choice” and not because “we happen to be related through some fluke of a father that happened to have these children.” Their only meeting as youngsters was at the funeral her mother tried to prevent Tyng and Pattison and their children from attending. The brevity and relative choppiness of this sequence weakens Nathaniel Kahn’s otherwise quite thorough portrait of his father; though they didn’t grow up as siblings, not to hear his daughters’ versions of Louis Kahn feels a rather large omission. There are also interviews with Louis Kahn’s somewhat estranged relatives who had a vague idea of what he did, unimpressed because he made so little money at it; with Pattison’s sisters, who tell Nathaniel their brother urged his mother to abort but that they’re glad she didn’t; with erstwhile Philadelphia City Planning Commission Executive Director Edmund Bacon, whose loathing for Louis Kahn remains well stoked and red-hot; and with other colleagues, including Jack MacAllister, who worked with Kahn on the Jonas Salk Institute and who recalls family Christmases in which Louis took part. Unforgiving close-ups of MacAllister’s alcohol-ravaged face and an allusion to the heavy drinking he did with Louis Kahn betray Nathaniel Kahn’s anger at this revelation; such traces of ambivalence are one of My Architect‘s strongest points. The archival footage is used to great effect; Nathaniel Kahn’s choices show his father in nearly constant motion around Philadelphia and the University of Pennsylvania campus. Raincoat slung over his shoulder in the style of a Roman senator, Louis Kahn appears deeply engaged in his own thoughts, focused and oblivious. Similarly affecting are excerpts from a master class, his students in clear thrall to his ideas. Most striking are the images of Louis Kahn’s charcoal-stained hands, testimony to his flat-out engagement with his work. Nathaniel Kahn’s sensitivity to his father’s work holds My Architect together, raising it above semi-therapeutic filial inquiry. 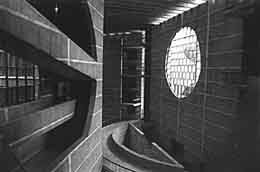 Late-bloomer extraordinaire — near 50 when he realized the kinds of buildings he wanted to erect — Kahn’s great turning point came during his yearlong stint as architect-in-residence at the American Academy in Rome. Struck by the spirit of the buildings in that city and on travels to Egypt, Kahn set his sights on timelessness and monumentality. Perceptive and affectionate, Nathaniel Kahn treats each of these buildings like other siblings. 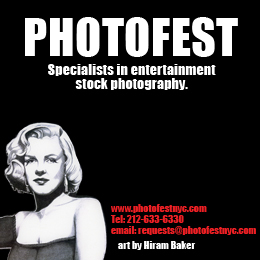 He shoots them from imaginative angles, at different times of day, interior and exterior, empty and populated. These nuanced and perceptive images convey the power of Louis Kahn’s ideas, which were as reflective of ancient structures as they were absolutely revolutionary. Louis Kahn defined as art as “that [which} tell[s] us that nature cannot make what man can make.” With My Architect, Nathaniel Kahn artfully shows his acceptance of Louis Kahn for what he was and wasn’t; for his undeniable flaws and perhaps unintended callousness; for his devotion to his projects as more than mere expressions of himself; and for the intermittent tendernesses he extended to those who loved him.